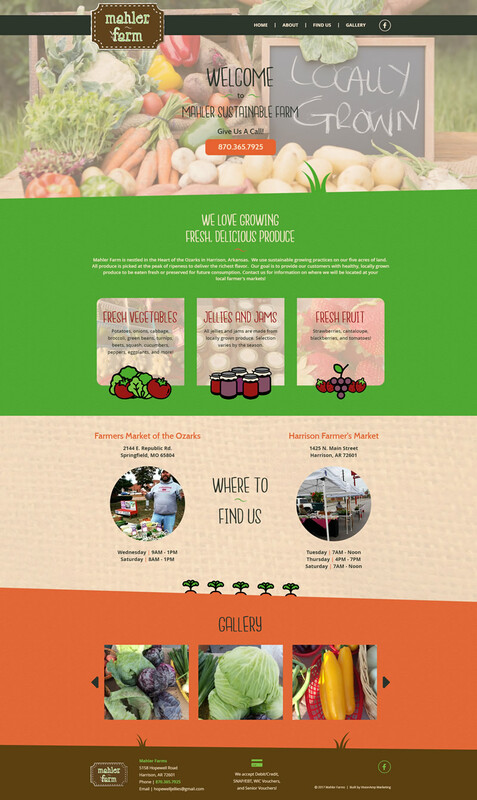 VisionAmp created a landing page for Mahler Farms. The page includes a bright color scheme, eye-catching images, and easy to find product and contact information. The landing page was part of the Harrison Chamber of Commerce’s contest for small start-up businesses in their region. The winner was Mahler Farms. Mahler Farms is located in Harrison, Arkansas. The five-acre farm uses sustainable growing practices to provide healthy, locally grown produce.